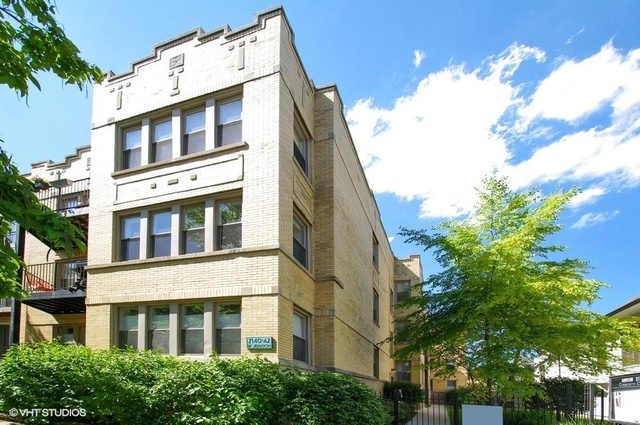 North Center is a neighborhood on the rise with a well-kept residential area, a pleasant nightlife and an amiable antique shopping strip. 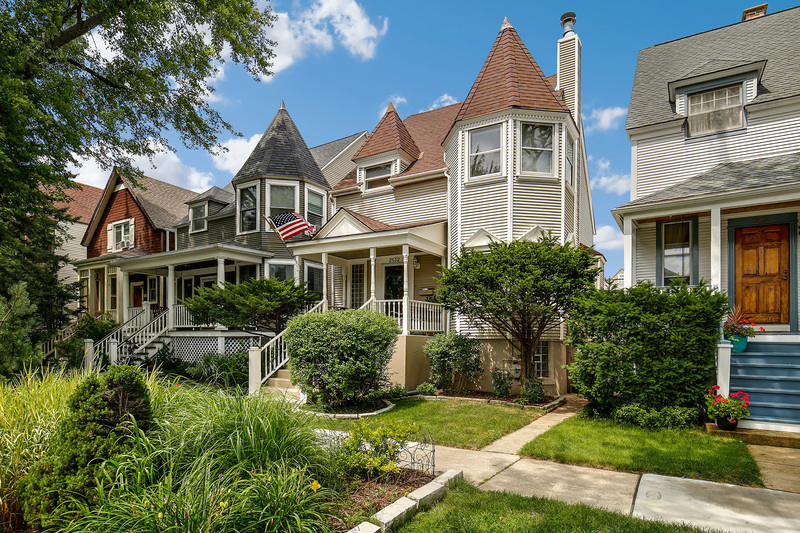 From riverfront property on the west end to grand Victorian houses with wrap-around porches in the east, this Chicago neighborhood provides homebuyers with a wealth of desirable real estate options and more importantly, a place to call home. North Center is a nice balance of residential blocks and business sections. The restaurants are one-of-a-kind, putting a fantastic spin on the typical neighborhood cafes and family diners. Art and antique dealers join in with original works and creative furniture and home decor ideas. A local theater venue and a slew of cozy bars complete the package, making North Center a fine locale for everything you'd want in a Chicago neighborhood. During the 1870s, the North Center neighborhood was only accessible by water via the Chicago River and by land via Lincoln Avenue, known at the time as Little Fork Road. In the later portion of the 1800s on through the early 1900s, roads were improved and the elevated train was extended making North Center easier to get to and subsequently more attractive to early settlers. 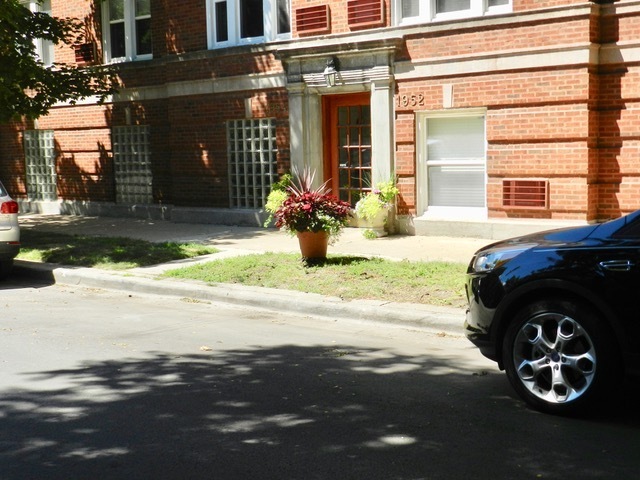 Many European immigrants were drawn to the area and filled in the North Center neighborhood between two industrial districts, one to the east along Ravenswood Avenue and another on the west along the Chicago River, where most of the new residents worked. Industry along the river proved especially important to the growth of Chicago. Clay was farmed from these banks in order to fulfill the high demand for brick buildings in the city after the Great Fire of 1871 inspired regulations against further wood frame construction. 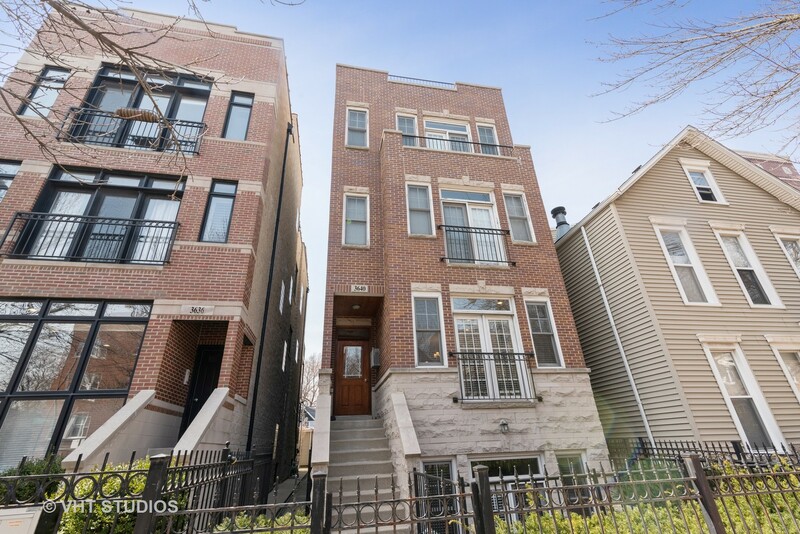 This boom in residential construction throughout Chicago carried over into North Center's history, resulting in a steady rise in population in the area. However, new residents began to protest the existence of the noisy and unattractive clay pits, which were eventually shut down and supplanted with landfills. Over time these landfills have all been replaced with thriving riverside businesses, housing, and the neighborhood's Revere Park. Between 1940 and 1990 the neighborhood population dropped almost 40 percent, but the numbers are returning as area properties and businesses are restored and reestablished. 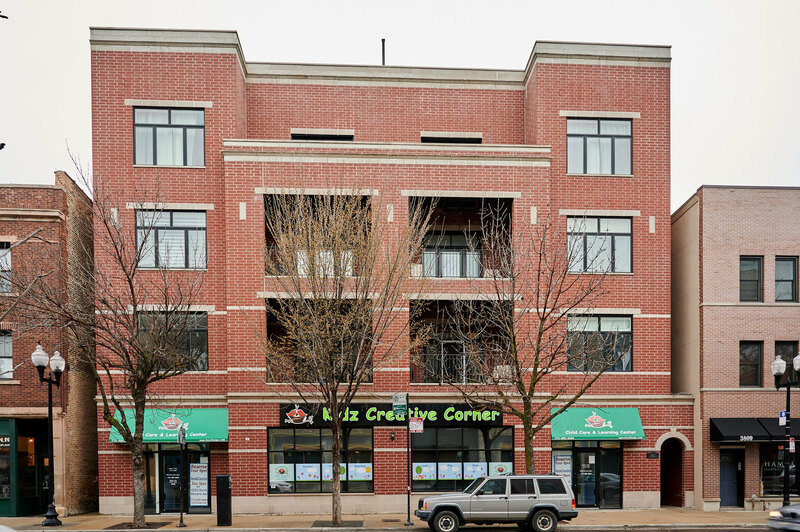 Today, North Center is a vibrant family-based community where many generations have stayed through the years of fluctuation. 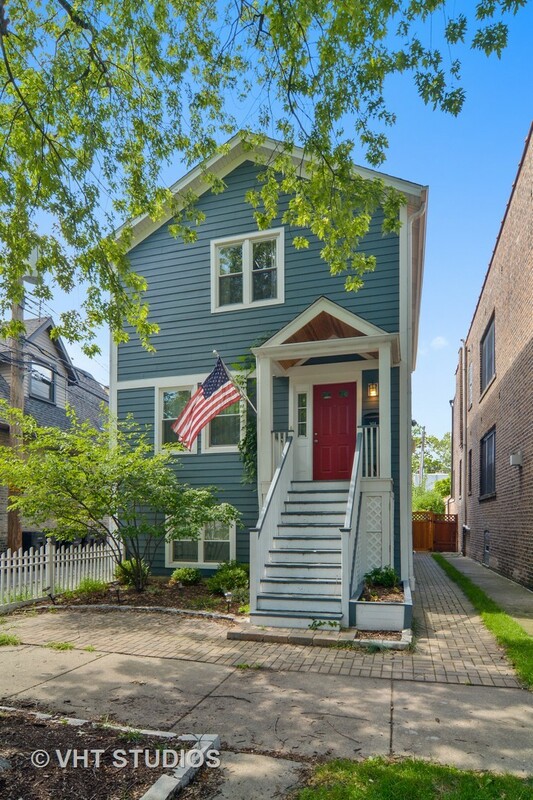 North Center real estate is diverse, from riverfront property on the west end to Victorians with wrap-around porches in the east. 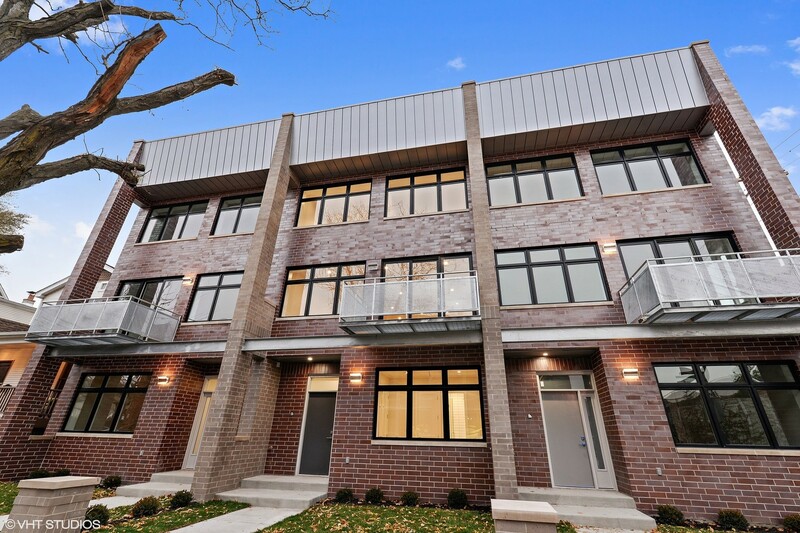 Mixed in with some older architecture exists a lot of newly constructed properties. 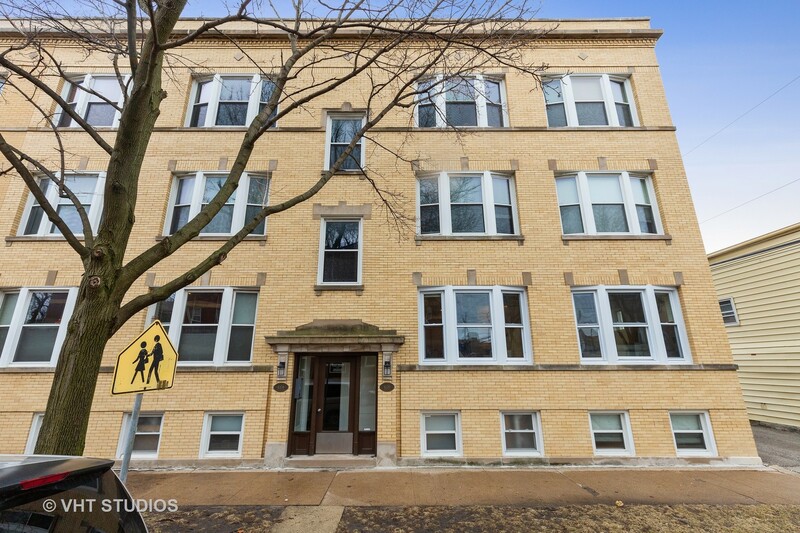 More and more, aging apartment buildings are being converted into updated condos. 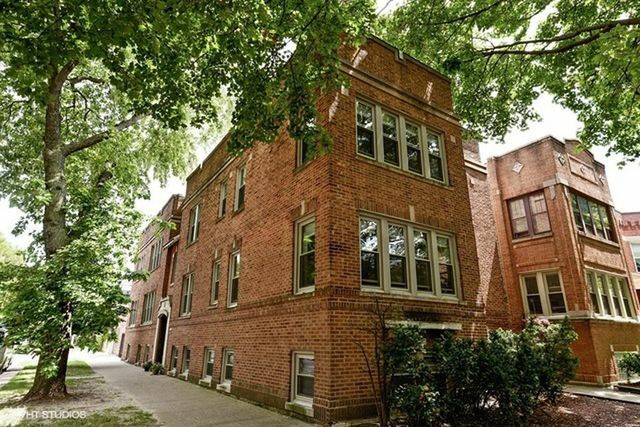 Renovations are at a constant here, all the while keeping intact many of the beautifully crafted homes occupying spacious lotsâ€”that nowadays would typically house two separate residences. 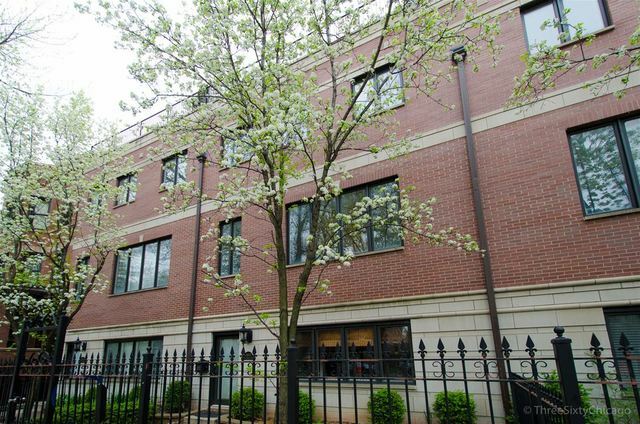 Trees are abundant along both residential and busy commercial streets, giving the North Center neighborhood a grand, long-established presence boasting natural beauty and class. 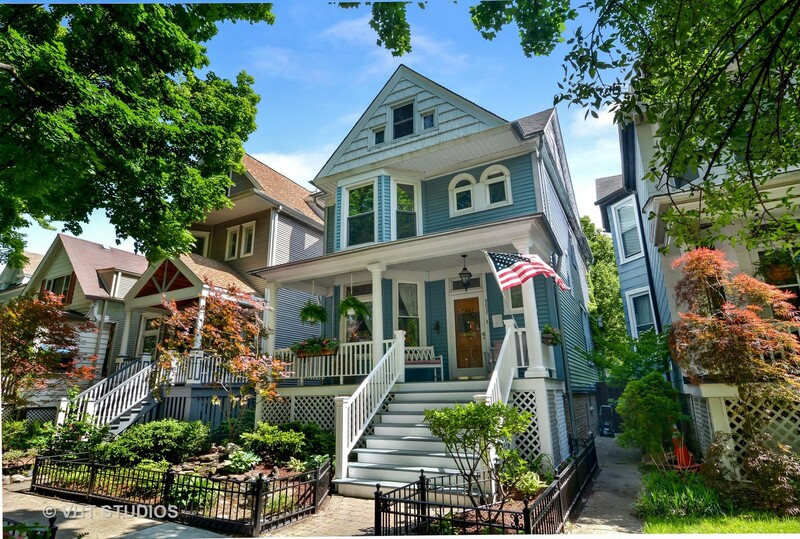 The cost of houses here are particularly less than in other north side Chicago neighborhoods that are closer to the lake or the Loop. 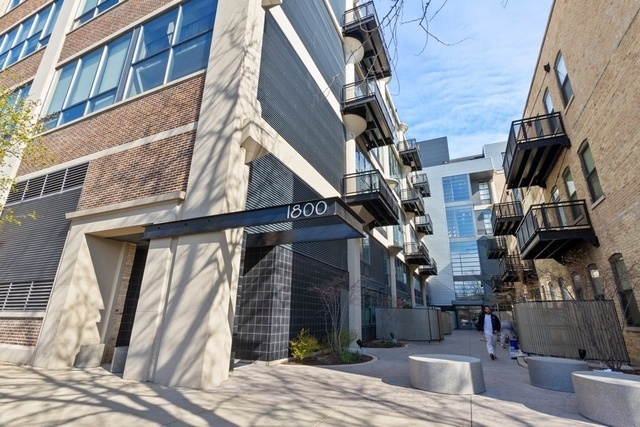 But their value does continue to rise, and many of the North Center homes provide amenities such as single and double car garagesâ€”a luxury those downtown residences don't often see. 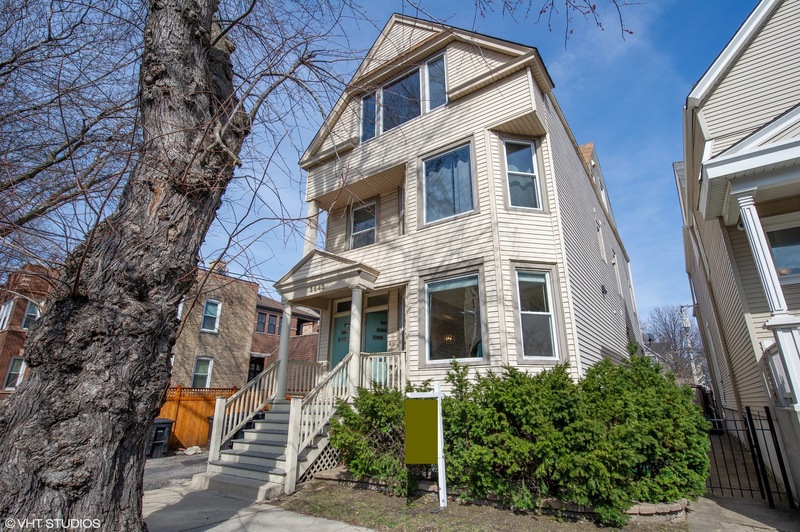 Check out our North Center Home Sales Statistics to get an idea of the real estate market trends in this neighborhood. 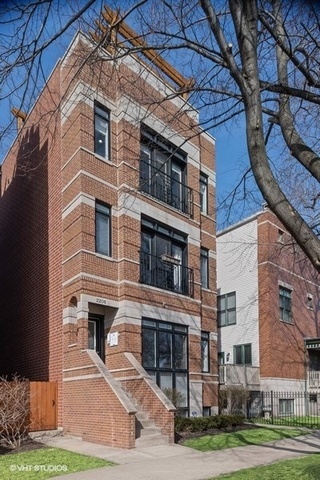 The average sale price of a home in North Center is represented by the chart to the right. The red line indicates the average price based on the total time frame selected in the drop-down window. The blue line indicates the average sale price for the particular month within that time frame. 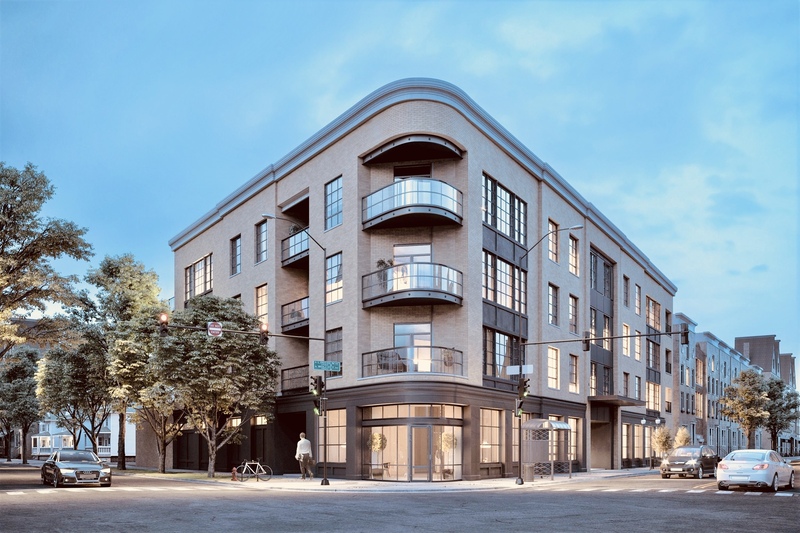 For more detailed information on North Center sign up for the trends report below or contact your Dream Town broker. The average number of days a home in North Center spends listed for sale is represented by the chart to the right. The red line indicates the average number of days based on the total time frame selected in the drop-down window. The blue line indicates the average number of days a home spent on market during the particular month within that time frame. 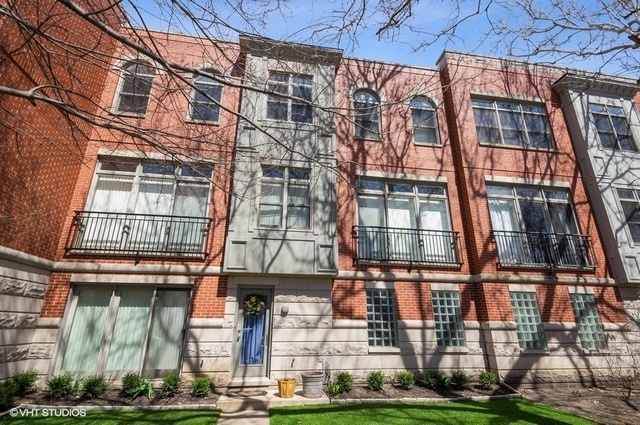 For more detailed information on average market listing times in North Center sign up for the trends report below or contact your Dream Town broker. 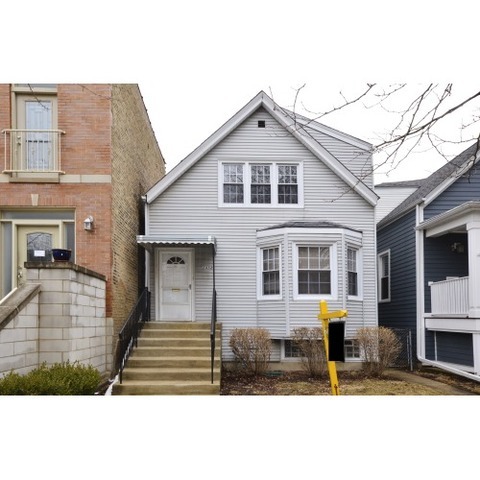 The average sale price of a home compared to its listing price in North Center is represented by the chart to the right. The black line indicates the baseline listing price for homes during the time frame selected in the drop-down. The red line indicates the difference between the average listing price and the average sale price during the particular month within that time frame. For more detailed information on North Center sign up for the trends report below or contact your Dream Town broker. The total number of listings in North Center is represented in the chart to the right. The red line represents average number of days based on the total time frame selected in the drop-down window The blue bar represents the current number of listings during the particular month of that time frame. 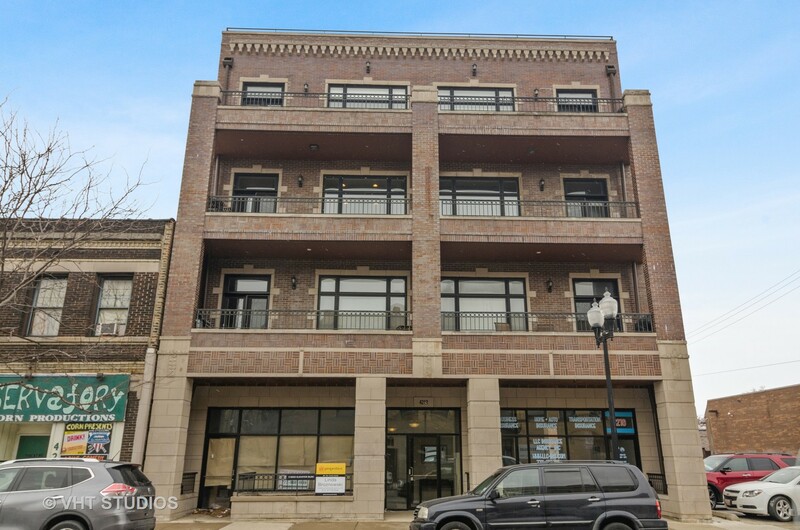 For more detailed information on North Center sign up for the trends report below or contact your Dream Town broker.